From Quilt in a Day and Eleanor Burns. 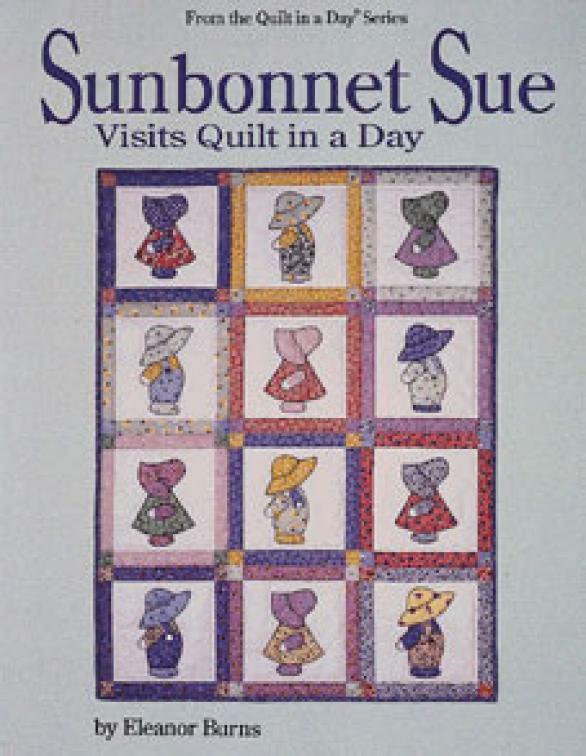 Sunbonnet Sue features a unique applique method using iron-on interfacing. Until you try it, you won't believe how quickly and perfectly you can make these charming blocks. Directions included for pretty Sue and her playmate Suspender Sam, in a baby, lap, twin and double coverlet size, as well as a Springtime wallhanging.